A distinctive and stylish waistcoat to match the Darwin jacket and trouser. Its durable crease resistant wool rich mix makes for unmatched luxury feel. The material yields to your movement whilst retaining its shape all day, and into the evening. 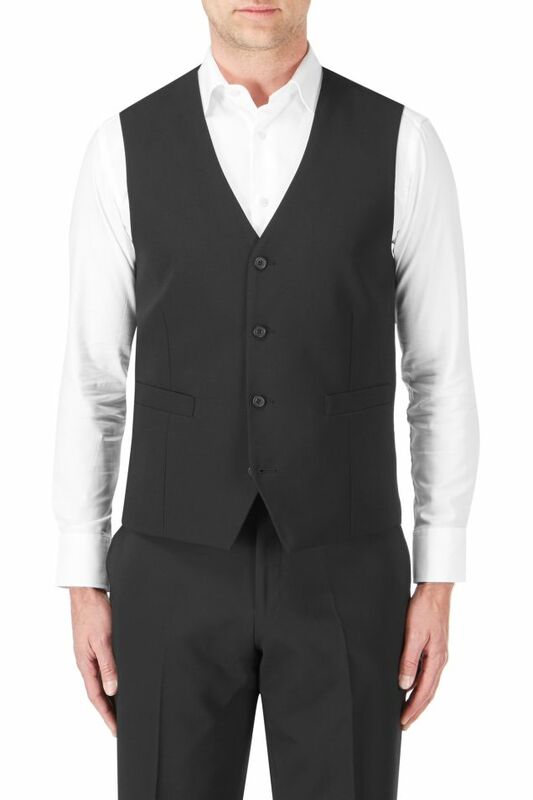 Functional yet refined, this impressive quality waistcoat is incredible value for money. Its sophisticated tailoring shows the best of classic British design. 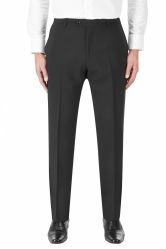 Wool rich cloth with polyester and lycra is luxurious yet hard wearing - tested to corporate standards making it ideal for regular wear with excellent crease recovery. Product Code: MM13/ Navy 26, Grey 32, Black 27, Black Pin 29, Charcoal 31. Material Swatches - Darwin performance suit waistcoat. 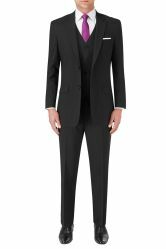 (0) reviews % Darwin performance suit waistcoat.